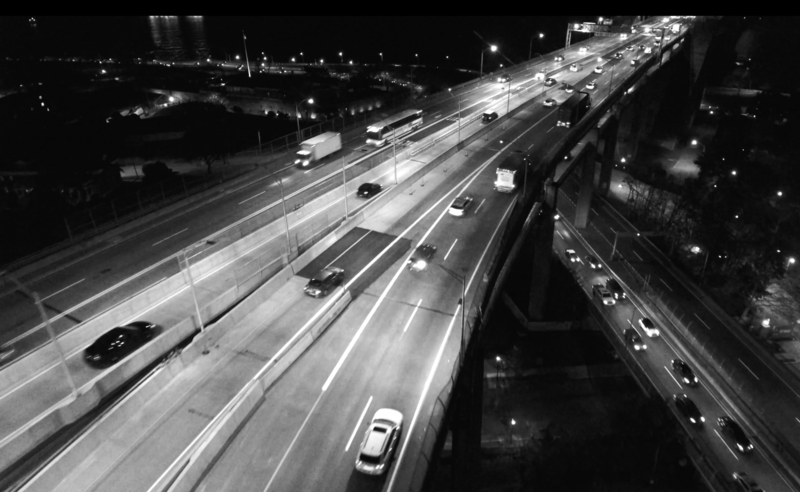 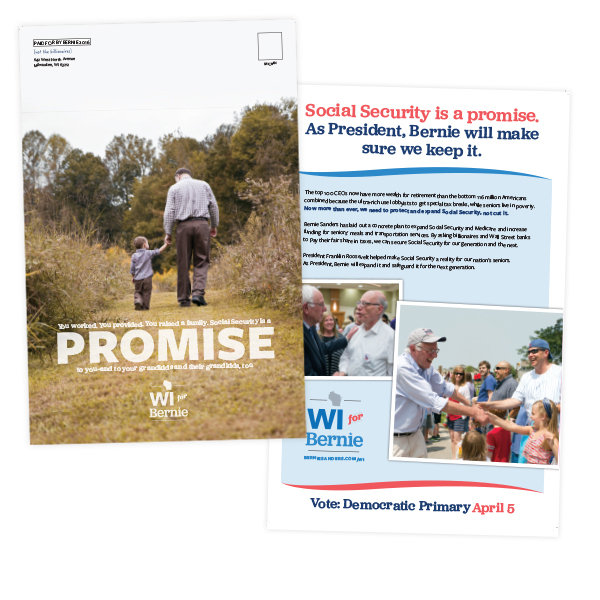 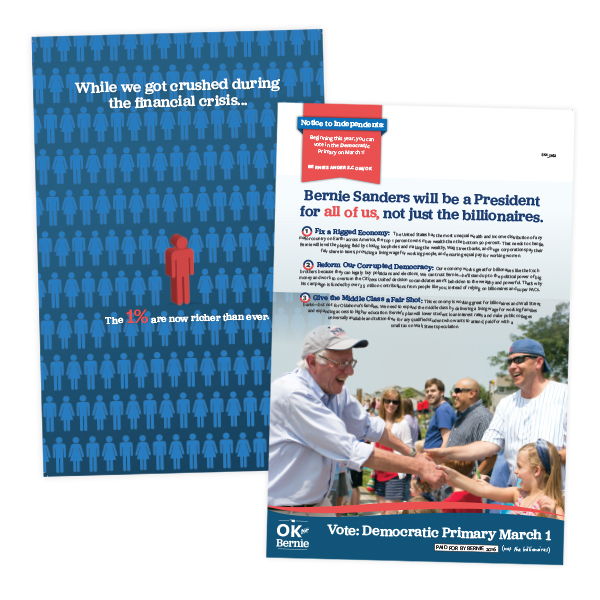 Convergence Targeted Communications was proud to be a direct mail consultant for Senator Bernie Sanders’ 2016 Presidential election and the sole direct mail consultant in nine states: New Hampshire, South Carolina, Oklahoma, Michigan, Ohio, Idaho, Wisconsin, New York, and Oregon. 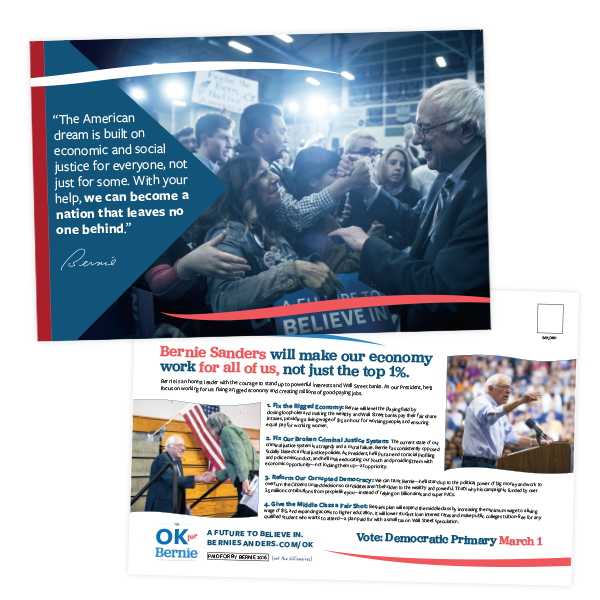 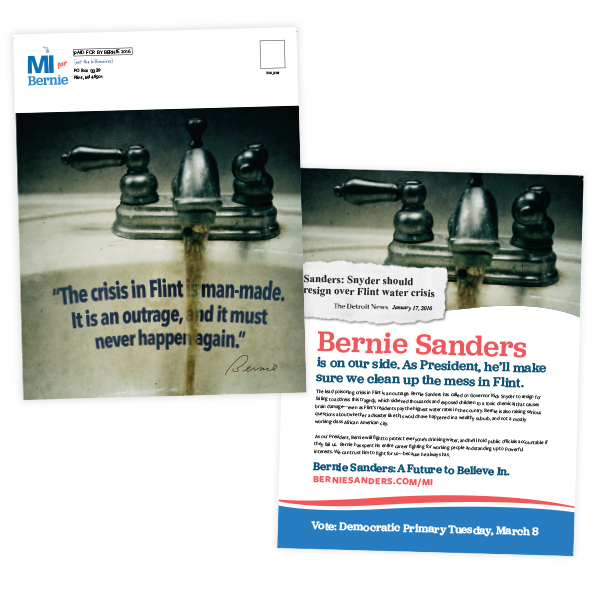 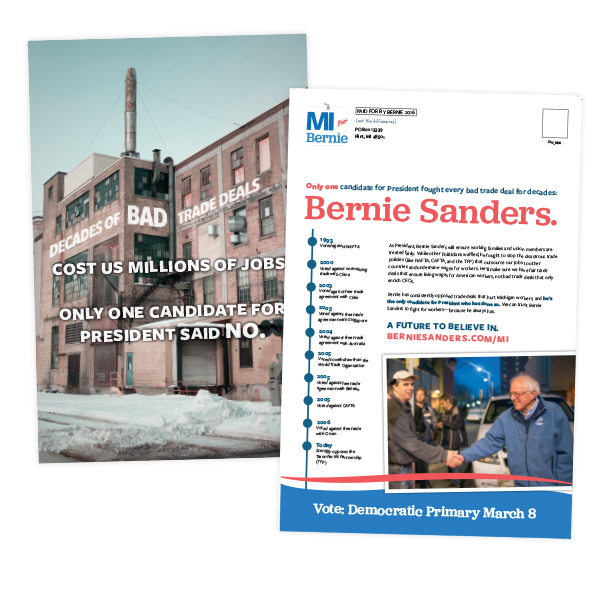 As part of that effort, Convergence worked with the Sanders campaign to design and ship a wide variety of creative, engaging direct mail pieces to voters identified by the Sanders campaign’s ground operation and through the use of modeling. 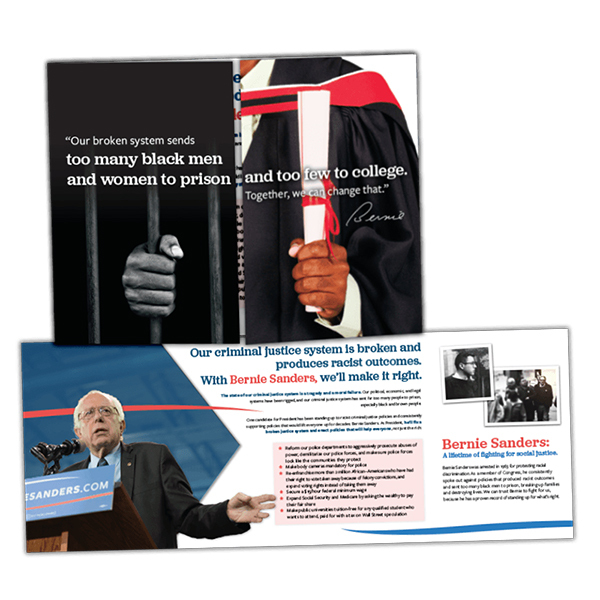 Some samples of our work from key primary states are below. 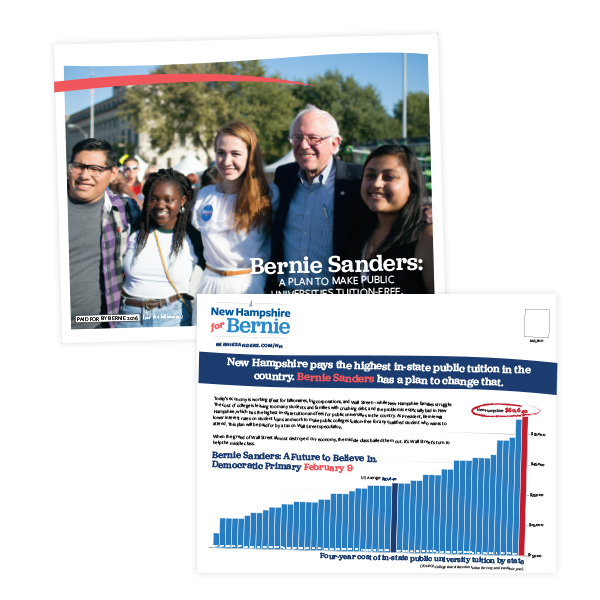 Click any image below to see a larger image.